← You Can Help Provide Medically Required Safe Housing! 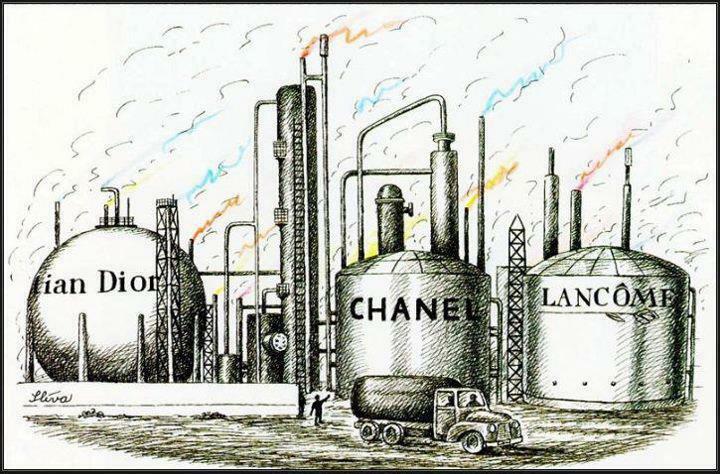 Manufactured fragrance ingredients have had a huge and mostly negative impact on my life, beginning with the “Chanel No.5 Eau de Cologne” my mother used to douse herself with in the 70’s. I remember running around opening windows and doors to air out the house after my parents went out on the town. I remember as children (in the 60’s) my sister and I were often given tiny bottles of “4711” as gifts, most likely free samples that family members received when purchasing larger bottles of it. I don’t remember it bothering me at the time. It was during the 70’s that more and more products (shampoos, moisturizers, cleaning products, etc) started to bother me. At the time, I thought it was normal that some products just didn’t agree with me. I had no idea I was actually being poisoned by them. I even ended up in the hospital for a week of tests in my late teens, after developing stroke-like migraine symptoms while applying one of my sister’s scented facial cremes after I had spent the night back home instead of where I was living then. As a young adult, I had to search high and low for a perfume or eau de cologne that I could wear on special occasions, because we were taught that it was an important part of the ritual. I don’t think I made it through two tiny bottles of “L’Air du Temp” before having to abandon that ritual. Just reading their evocative description now leads me to a never never land, one I don’t remember if I was influenced by back in those days. (According to the Nina Ricci website’s legal notice, I am not allowed to link to their site without written authorization, so you’ll have to google it for yourself!!! But beware, the site has some annoying hurdles to go through before you get to the perfume’s page). Now there are hundreds, if not thousands of synthetic, petro-chemical ingredients used in fragrances. And fragrance chemicals are everywhere. It is pretty much impossible to avoid them unless you are alone in the middle of no-where. They are in the air, in our water, even in our supermarket foods. I am housebound now because fragrance chemicals are everywhere, even in my yard when others are using their dryer vents and the wind blows this way. I have a very difficult time finding even basic essentials (like baking soda, food and clothing) that are un-contaminated by fragrance ingredients. I wrote about how fragrance residues basically left me homeless in the previous post. The International Fragrance Association (IFRA) reports that 3090 materials have been reported (voluntarily via membership surveys, there was no forced compliance) as being used in fragrance compounds in 2008 and updated in 2011. Here’s the list. Some are known to be quite hazardous. Most have never been tested for safety. Check the sidebar here > > > for some links about fragrances and their health impacts. You can also read what I’ve previously posted about them. Fragrance chemicals are clearly just as bad, if not worse for our health than tobacco smoke. It’s time to ban toxic chemicals from fragrances. At the very least, label them on products, so people know what they are applying to their bodies and forcing everyone else to breathe. Being forced to breathe in toxic chemicals is toxic trespass. Here are some fragrance free policies from around the world. This entry was posted in Air Quality, Fragrance, Health, Images, Multiple Chemical Sensitivities, Pollution, Toxic Trespass and tagged Chanel No 5, fragrance chemicals, fragrance-free policy, hazardous air pollutants, indoor air quality, MCS/ES, toxic trespass, video. Bookmark the permalink. OMG … I used to wear Chanel no 5. So, THIS is how I became sensitized! Thanks Linda! It’s currently impossible to prove that this is the cause, but it’s also impossible to prove that it isn’t. Several synthetic musks are used in fragrance including galaxolide, tonalide and musk ketone. Research indicates that synthetic musks are persistent, can bioaccumulate, are potential hormone disruptors, and may break down the body’s defenses against other toxic chemical exposure. I agree with you Linda. We are lucky to live in West Wales where the use of fragrances is extremely rare. 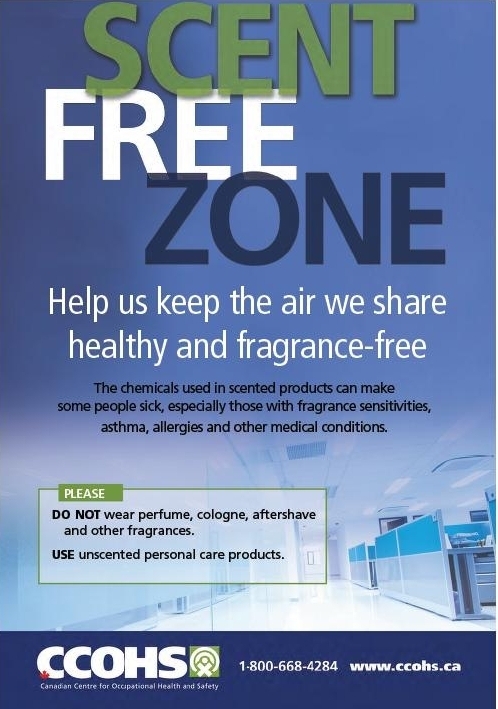 You are doing a good job in promoting the need for fragrance free zones. There are so many of us already affected, and the numbers of people, including children, are just growing. Hi Linda – You seem to be much more tekky-savvy than I am – would it be possible to start a petition to send to MP’s, MPP’s, etc., to have these chemicals regulated/labelled as well as building Housing for people like us – beautiful weather – opened my windows & the stench of mothballs mixed with strong chemical fragrance (I think RAID) – blows into my face (desk & computer near windows). Come on – let’s make a change – My horoscope last week said I must join forces with others – the planets indicate it’s time to get involved in a project that involves hundreds of people! – I’ll do my part! To make a petition requires a level of organization that I do not have – that part of my brain is still hopelessly damaged. Organizations like Environmental Defense, David Suzuki, Sierra Club, Avaaz, and others do have petitions we can sign. I have posted a couple of articles regarding actions by Women’s Voices for the Earth and the Mind the Store campaign that you can get involved with too.